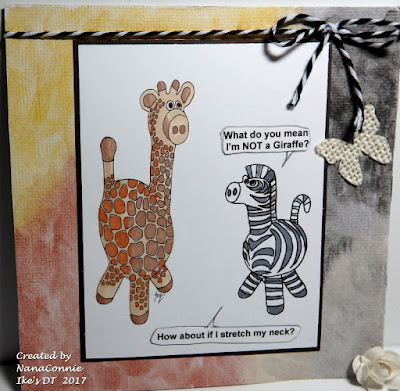 Grammy's Attic: Giraffe or Not? I have a very dear friend who celebrates her birthday at the end of May and she's coming up on 81 this year! 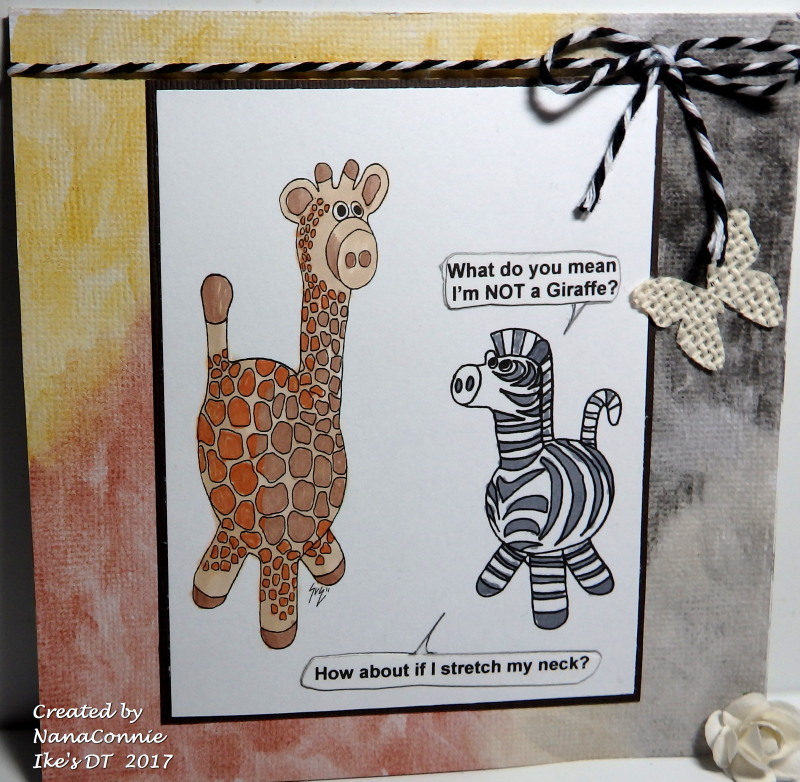 She adores giraffes and I have made a card for her each year with some kind of giraffe on it. Both of the images came from Ike's "Krazee Kritterz." It's such a fun set and I only used 2 of the Kritters included in that set. Check them out by clicking on the name above. This has to go in the mail so I kept it fairly simple and as flat as possible. Hee hee hee - how cool is this card ? I love the poor little giraffe-awannabee LoL I hope your friend loves this too. :-D Thank you very much for making this for me at IWC. I love how you have done the background to suit each animal. Oh my goodness Connie, this is precious! Love the sentiment and beautiful images. This is so cute! Love the word bubbles you've added. Thanks for sharing at FabNFunky. Oh this just makes me giggle and is perfect for our Dots & Stripes Challenge! Thanks for playing along with us over at Art Impressions! So so funny. Love the design and card. Tfs and for joining us at PIO's Challenge #130 - Animal and/or Spring Garden.